Internet of Things (IoT) is one of the few emerging technologies that are bound to take the world by storm in just a few years’ time. In fact, in most of the developed countries, it is already a big thing with many companies taking advantage of it and offering its customers the best support in this regard. Already there are over 20 billion IoT devices in operation and the number is about to reach the mark of 30 billion by the end of 2018 which is a huge number. Have you ever thought of what happens to all these IoT connected devices as most of them use some sort of programs or apps to operate? Let me offer you 5 of the best ways in which IoT devices will impact mobile app development in a positive way and what app developers can anticipate in this concern. With IoT not just a buzzword anymore, we will see more companies dip their toes in this emerging technology. Don’t be surprised to see many open source IoT development platform come to the fore. Google has also released a platform known as Google Flutter, that uses Dart, which is an IoT device programming language. Many big names will join in soon, which would increase the number of IoT development platform, giving mobile app developers more options to choose from. For app developers, there are a host of opportunities for them concerning mobile apps to run and operate IoT based devices. Unfortunately, the experience they possess won’t help them in creating mobile apps for IoT devices right away as it not as easy as it seems. 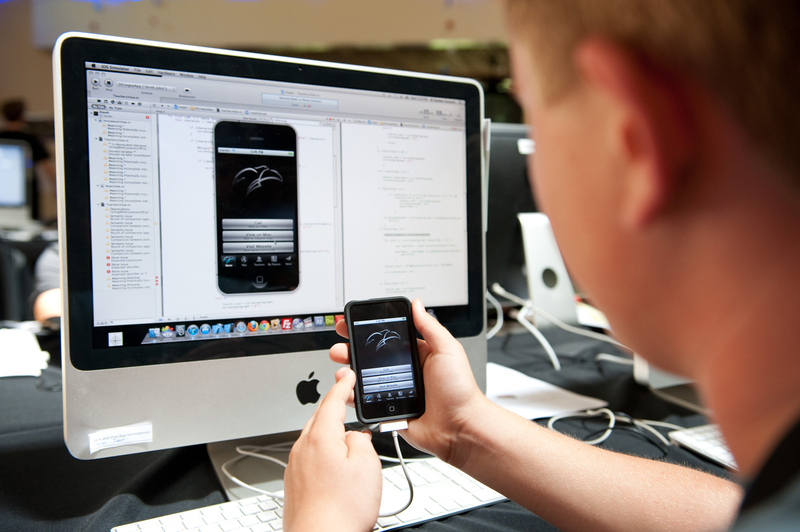 As an app developer, you need to start from scratch and put on your learning cap on. The steep learning curve might put off some mobile app developers, but the reward is well worth the effort you put in in mastering the art of creating mobile apps for IoT devices. It’s a foregone conclusion that the demand for IoT developers will rise steeply in the coming few years. As the number of devices grow and IoT related devices are produced on a massive scale, there are adoption become a reality, we would also see its application in wide variety of industries. This will certainly increase the demand for IoT apps and translate into higher demand for IoT app developers. If you are looking for a lucrative career path and want to secure your future, then look no further than IoT mobile application development. The number of IoT devices starts to grow, it is the IoT apps that will take the centerstage as the whole process will depend on them. The number of devices isn’t the only factor that will determine its success in the future, it is the applications and its usage that will be the catalyst in the eventual success. That’s why developing IoT apps that could not sync with other IoT apps and infrastructure and work in isolation will be useless. Also, companies offering app development will also need to prioritize connectivity when creating IoT apps. As cyber attacks and Ransomware taking a toll on people, there are many ways in which we all need to find a way out of it. God forbid when you will actually experience the trauma yourself in a Ransomware attack or hear the first account from a survivor, only then you will know that why security is a priority now. In fact, privacy and security are one of the biggest hurdles that is hampering wider adoption of IoT devices. In order to make sure that we all are at the forefront of the technological changes, we require exceptional support from app developers for making our IoT devices secure enough so that no one can breach through it. I understand that the topic of IoT is very broad and this little blog is not enough to quench the thirst of my readers in this concern. That’s why I am open to questions and queries in this regard. So please use the comments section below in this regard.